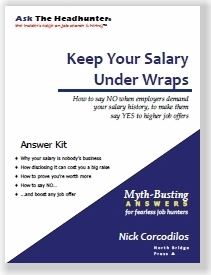 In the July 21, 2015 Ask The Headhunter Newsletter, a reader is in a pickle — er, start-up — without a salary, and without protection on the upside or the downside. She also mentioned they are moving to Silicon Valley, but will be using distributed-teams software to push more projects out. The problem is that my budget and time are expanding. I am worried that my “job” will be lost by their move. I have only a handful of e-mails outlining the stock certificates, with promises of full-time employment when investors come through. However, I have nothing legal or tangible to suggest they are serious. I’m ready to quit, but need some guidance. How do I approach her about my concerns without questioning her integrity? Should I suggest several options that have some legal teeth that protect me? So far I have all the risk while she continues to pump out projects. Thanks! Why work for a start-up? One, you’re an owner with ironclad shares that cannot be diluted without your approval. If the company takes off, you’ll get your reward. If it doesn’t, you at least had a deal that protected your upside. 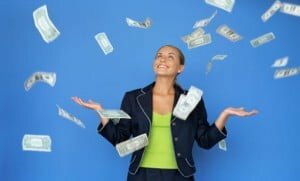 Two, you’re an employee being paid a fair (if not good) salary, and you’re expected to work hard over and above anything resembling “reasonable” — because you have some shares and stock options as a reward if the business takes off. Your salary protects your downside. If you’re working at a start-up under other circumstances, I’m sorry to tell you that you’re probably a chump — unless you’re independently wealthy and love that kind of work. I’ve got two rules for working at start-up companies. I love start-ups. Been there, done that, had great experiences… except the time I got screwed because I had nothing in writing. When the founder decided to bring in other investors, my 250,000 shares were instantly diluted down to virtually nothing. (See Start-Up Stock: What’s it “sort of” worth?) The first rule when joining a start-up is don’t get screwed. Invest in legal and accounting advice to protect your up- and downside. Let’s discuss how to handle your boss. You’re being naively nervous about offending a founder that you’re giving free work to. It’s time to make it legal. I’d sit her down without any apologies and without hesitation in your voice. If she indicates any problem with that, then I think you’re being taken for a ride, and that you’ll be summarily dumped by the side of the road. She should be apologizing to you and extending every courtesy — you’ve been working for free with no written assurance of any reward! You might want to talk with other “employees” to see how they feel — and to find out whether they have contracts. You all need them. You may want to speak with her as a group. But in my opinion this has already gone too far. You’d be pretty upset if she took advantage of all of you at this point — so don’t fret about having this discussion. Before you do that, I’d talk with an attorney. 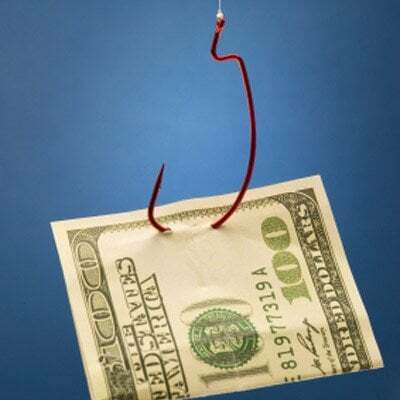 (See Employment Contracts: Everyone needs promise protection.) Equity deals and contracts with start-ups are complicated and fraught with risk. If it’s not worth the legal fee, then how can the promise of this job be worth anything? Please take this seriously. The other issue is that if and when investors come in, your boss will have very little to say about your equity share. Investors don’t like seeing their shares diluted. You could wind up with very little, if anything, if you don’t have a solid contract now — and the right kind of shares. I don’t mean to scare you, but I’ve seen this again and again. Even a well-intentioned founder can wind up hurting the team that poured its blood and sweat into the business. Working with no contract is totally imprudent and un-businesslike. I’d get to it asap. Did I caution you not to get screwed? Don’t forget about IP (Intellectual Property) rights. Have you signed an NDA or NCA? Have you signed over any IP rights to anything you’ve developed? Your boss could be screwed, too, without these. It’s another reason you need a good employment lawyer. My philosophy is, get value for value. Your work is valuable. Ask for salary, and ask for equity. I don’t think suggesting “several options that have some legal teeth” will help you unless you talk to a lawyer first. This is easy: Just tell her it’s time for a written, signed agreement — and stock certificates. Something tells me that’s when she’ll tell you you’re not part of the move — though I hope I’m wrong. 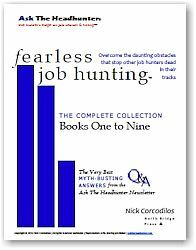 Fearless Job Hunting, Book 6: The Interview – Be The Profitable Hire. This works even when discussing salary with your current employer! Fearless Job Hunting, Book 7: Win The Salary Games (long before you negotiate an offer), especially “The Pool-Man Strategy: How to ask for more money,” pp. 13-15. Sometimes it helps to ask casually! There’s a lot more to start-ups, of course. 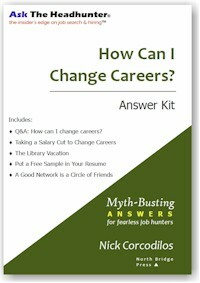 (See Ben Slick’s excellent article, Evaluate a Start-Up Job Opportunity Like a Venture Capitalist.) If something I’ve said is helpful, I’m glad. I’d love to know what you decide to do and what comes of this. 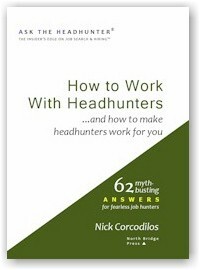 Thanks for your kind words about Ask The Headhunter! For those considering the excitement of working at a start-up, if it’s what you really want to do, don’t be dissuaded by risk. As this reader points out, it can be an exciting experience. Just follow my two simple rules, and make sure you protect yourself on both the upside and the downside. I hope you get rich, but don’t end up losing your shirt. Have you ever worked for a start-up? How did it turn out? Did you protect yourself? (Did you get rich?) How would you advise this reader? Got asked to write for a start-up. It seems like a promising company but the pay is dismal. I think I’ll have to pass up the offer. Thanks a lot for these useful tips! Will keep them in mind. Nick is too kind on this one. Working for a start up,with verbal contracts tells me being screwed isn’t a certainty in the future, it’s a work in progress. A CEO who thinks they can attract talent without firm written deals won’t be around long. When I solicited investors for my latest startup I have the equity allocations on my term sheet for my 5 key employees before they even offer a penny….just so you know. They are paid 150-180k salaries for their work…and an equity share for the passion to succeed. A company without investors is someone’s playground, not a business. Tell the CEO to get real. I won’t ask anyone to quit their job until I can pay them. I’ve been with several startups, made a few dollars but never got rich. Employment is a ‘pay to play’ game, pay you now or pay you later. There are several words in your question that concern me. 1. A future ‘distributed’ software team. Reality? Distributed equals having the development work and test done in India. Requirements and architecture close to marketing and the CEO so they can change it every day and make development a nightmare. 2. Moving to the ‘silicon valley’. I live there. Do you realize a house in a safe, English-speaking neighborhood costs a million dollars? Or a similar apartment costs $2,500- $3,000 per month? Stock options are complex. If you get stock equal to 1% of the outstanding shares, and an investor comes in, unless you have a great agreement they’ll be diluted to a fraction of a percent. Startups are risky. He needs something in writing that not only shows the shares he owns but the % of ownership he has and that the % can never go down, only the same or more % with more shares given. He should also be getting a salary. At this point he needs a lawyer as he may not have signed IP over to the company that he develops. What about non-compete clauses? Without a salary is he even considered an employee? I work for a startup that never got off the ground. They have investors the owner is bleeding dry. I have no resources to do my job. No budget to spend. We get paid when there is money not every 2 weeks like we were told. They are behind payroll 6 weeks now. One week we have to wait 3 weeks, another week it is 2 weeks. I got an high amount of stock options to come onboard last year but know the shares don’t mean anything. They won’t tell me the % of ownership I have if I purchase the stocks. Therefore I don’t value it. I am looking for another job at this point. will tell you a lot. If she grabs it and runs to set up contracts with everybody, then you’re both in much better shape. If not, you’re both in trouble, and yes, it’s time to bail. That doesn’t sound right. A ‘startup’ is not a business. It’s an organization that’s looking for a validated, scalable, business model. Once you have a business model that works, you start the company. But your situation sounds like a software shop that’s looking for business, and doesn’t really have a plan for finding customers and giving them something no one else has. Do some reading online about startups, or read Ries’s book, or Ash Maurya’s website. I think you’re working for a wannabe software shop, and that’s a tough business without solid customers already lined up. Most startups fail, not because they don’t build what they set out to build, but because they build something nobody wants. That’s a pity, because they’ve got lots of smart, hardworking people expending immense effort on the wrong stuff. Good luck, and please post a followup on what happened? 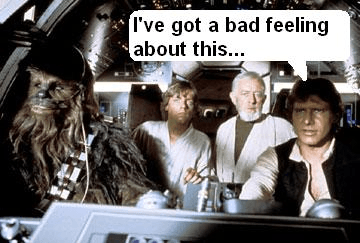 Are you crazy….Listen to Nick and the other advice above, get an attorney NOW! You are being screwed and sounds like all you have are promises. Even the attorney you contact will give you a few minutes for $0 to evaluate your case and then start charging, they do not work for nothing either.There is no free lunch in life, someone has to pay for everyones three hots and a cot (rent). Sounds like your CEO is a trust fund baby or has a sugar daddy and if you are the same then have at it and good luck. What Nick said, but I have some questions. I live in Silicon Valley, have never worked for a start-up, but know people who have, and a bunch of things don’t smell right. I assume she has tried to get investor money, but failed. That seems to send a message. Does she understand why she is failing? Has she changed direction? Or is she plowing on with free labor. Is she trying to sell these projects, and indicate that there is a market for what she is doing? Why is she moving to Silicon Valley? There is more money here, but also more competition. I was always under the impression that start-ups began with a small core of dedicated founders, did enough work to get money, and then hired implementers. but I’ve got employees, and that’s a start. Unfortunately, I’ve heard too many variations on this story over the years to feel hopeful about your own situation. I say this as someone who has participated in both successful and unsuccessful start-ups. From the way you describe your role, it seems that you ought to be either a partner or an equity holder in this venture. In either case, the terms of your compensation should have been made clear in writing, in advance. It appears, however, that you have in reality settled for the position either of intern or volunteer – albeit with actual responsibilities. I have worked at companies that struggled to meet payroll and had, on occasion, had to “defer” compensation. Those debts were on the companies’ books, though, and we were always made whole. More than once we were awarded additional stock grants for the inconvenience – always in accordance with SEC guidelines and in a manner clearly visible to new investors. Your own account does not suggest your “boss” is playing by similar rules – or any particular rules, for that matter. Please do yourself a favor and get some legal advice. As at least one respondent has pointed out, attorneys often will provide an initial consultation gratis. Who knows? – it may be that you are entitled to hold on to whatever software you develop, as you do not appear actually to be employed there. From someone who’s worked for both startups and early-stage companies, and tracks them as a writer in the health tech field since 2009…run, do not walk, to a different and paid job. What is more from your description, the entire group is being screwed, blued and tattooed by the CEO and whomever is backing her. You may have taken it initially to keep your hand in, get some fresh learning, make a few connections, and to fill the resume blank spot. Maybe the $ didn’t matter as you are collecting unemployment, or have savings/pension/401K. But beyond a few months of this tradeoff, you’re being taken advantage of, and it’s time to go. I always like to follow the money. Who’s paying the CEO’s bills, the lights and the rent anyway? Who is getting paid there? This founder must have a rich hubby or family because as pointed out by Bill in SJ, to relo to Silicon Valley makes Manhattan look cheap. A relo is also an easy way to dump people with expectations to be paid or to get shares. Another bet–the company will be reorganized under a different corporate name when the move is made. The distributed software plan is another clue that everything is being reorganized after your and your colleagues’ foundational work. Your job will shortly be outsourced to India per Bill (where I also bet she has a few connections, so common in the software business). What projects are going to be pushed there, if she can’t get any business now, is another question. This may be a lie. Find out whether you signed over the IP to her in whatever agreement you do have (e.g. a consulting agreement, NDA). That’s what you need to find out from an attorney. If you didn’t sign it over, make sure you have the architecture and documentation. Get an attorney’s opinion, but without compensation how can there be ownership without you ‘gifting’ it? This is a lesson that you’ve enjoyed, but the class is over. Take it and move on. It’s past time. Do you realize a house in a safe, English-speaking neighborhood costs a million dollars? Easy there, Bill. Your privilege/bigotry is showing. Excellent advice, Nick, as always. I didn’t take your advice as a slam on start-ups, but as a warning. If the LW is willing to work for free, fine, but then he can’t complain about not getting paid. If it was meant to be a temporary thing, then the thing to do is, AFTER first talking to an employment attorney, is to get the terms in writing. I would write down what those were as you understood them at the time. If there was a deadline by which you were supposed to start receiving paychecks, or get in increase in your stock options, or whatever, and that has long passed, then it is time to make a decision about what you want to do. Your boss will be delighted to make use of your time and skills and will see no reason to pay you so long as you seem happy to be a volunteer. Your skills and experience are valuable, and you should be compensated for them and for the value that you bring to this start-up. 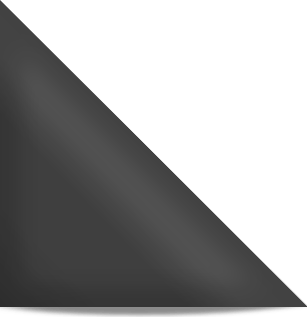 @Dee: You nailed it–follow the money! They must be making enough of a profit to pay their rent, to pay for office equipment and supplies, to pay their other bills, and to pay the big kahuna(s) in the company. If they have money to do that, then there should be enough to pay you, and if there isn’t, then you have to decide how much longer you wish to remain a volunteer. Start-ups are a risk, but so is much of everything else. Life is a risk. You are taking a risk too–but that doesn’t mean you should be stupid. I know that attorneys can be expensive, but often there is no charge or a de minimis charge for the initial consult. But the point is to find out your rights and liabilities, and to figure out what you should do to protect yourself. I’m sorry, but this employer sounds less than ethical and honest. She should have made paying you a priority if your experience, skills, and expertise have meant success for the company. Bill — Bryan is actually correct! Houses in Silicon Valley are outrageously expensive. I live on a street in Agoura with $million houses that are 3000 and more square feet. In Silicon Valley, a 1500 sq. ft. house can easily go for a $million…. not an issue of bigotry, by any means! Freedom’s just another word for nothing left to loose – he’s not getting paid now, so he will not loose anything if getting kicked out by the CEO. More important: Does he believe in the company’s product or service? If not, why work there? If yes, if they do not make money now, how should they in the future? I recently left a company after two years; they struggled several years before I came in, but managed to silver-talk investors to continue funding…and new investors…until recently they could not fool the market anymore, and fired half of the people in a desperate attempt at saving the company. I was actually asked to follow on, but declined – it woul mean relocation, and the company still seems unwilling to actually change strategy and listen to experienced technical people. So far they have changed strategy every half year I have been there, but it has always been “same s***, new wapping”. At least I got paid well, though. Startups are a yesteryear thing. Even if the management is straight honest and does not intend to screw you, what is the chance that they will be the next Yahoo or Paypal or Google? In the last century I worked for 3 startups. I worked for salary instead of stock and let the owners do the stock option thing. They shafted themselves.